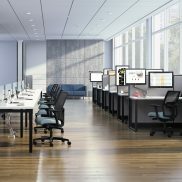 We provide the best office furniture rental accommodations for new and expanding Chicago area businesses. New companies can fill their office space with enough desks, chairs, cubicles, and conference tables so the business can get started. 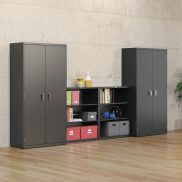 There is no huge initial investment to purchase the furniture, plus we deliver and set up the office furniture for free. Expanding companies can add furniture and remove pieces as needed when you use office furniture rental over purchasing. 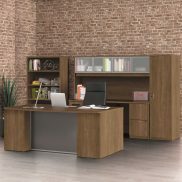 For office furniture rental, you can choose the same type of furniture for your entire office or mix and match an assortment of styles we have available—you find the styles of rental office furniture you like and we’ll coordinate your whole office. 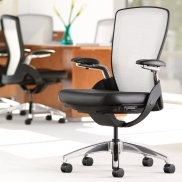 Our office furniture design services are free with the rental agreement of furniture. We have rental office furniture options in wood, metal, resin, veneer, and glass finishes.